Oxford YASA Motors, Westfield Sportscars and Potenza Technology have signed a Risk & Revenue Sharing Agreement (RRSA) that creates an exclusive business alliance to support the development and launch of the world’s first fully race-prepared electric vehicle, the iRACER and the new Electric GTM sportscar. YASA Motors and Potenza Technology will provide high-performance integrated battery, traction motor and controller solutions based on the innovative YASA axial-flux motor, Sevcon Gen 4 Size 8 controllers and Potenza’s well proven Battery and Vehicle Control Systems. The iRACER will feature in the EV Cup, the world’s first dedicated electric race series that starts at Silverstone on the 6th August this year. The EV Cup has attracted high-profile teams such as Drayson Racing who will be running the iRACER throughout the first season of racing. The eGTM road vehicle is currently being developed by Westfield and Potenza Technology for Potenza Sports Cars Limited who recently entered into a separate RRSA with DRB-HICOM in Malaysia, to manufacture and distribute the eGTM throughout South East Asia. 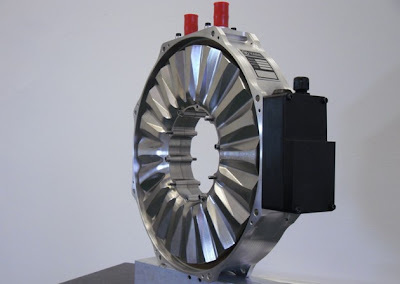 The recently announced collaboration between Sevcon and YASA Motors to develop the novel ISYS Drive, a compact integrated, direct-drive twin motor and controller unit offering a combined specific torque of 30Nm/kg and 200kW / 270bhp of power will be the exclusive drive-train solution for the eGTM. Dr Paul Faithfull, Managing Director of Potenza Technology and Technical Director of Westfield Sportscars, said “We have built a strong and successful relationship with the team at YASA Motors since the company formed in 2009. Their motor and controller package has proven to be reliable and, simply put, offers us the best performance, packaging and efficiency available on the market”. Nick Farrant, CEO of YASA Motors, said “Our collaboration with Westfield Sportscars and Potenza Technology underpins our high pace of commercial development and supports our business model of market-facing collaboration with world-class partners. The iRACER is a fantastic platform to showcase the performance and potential of our combined products and technology in the most demanding motorsport environment, as well as demonstrating the growing number of exciting electric vehicles to the wider viewing public. We are delighted to enter into this agreement and to help create two appealing new vehicles that will benefit from the very latest electric propulsion technology. This strategic alliance of small UK companies yet again confirms the leading position that the UK has in this growing segment of the automotive market”.